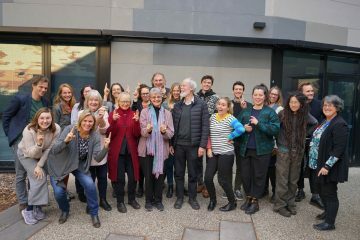 From 28 May to 1 June the Centre for Environmental History welcomed fifteen doctoral students from around the world to its ninth Biennial Environmental History PhD workshop. 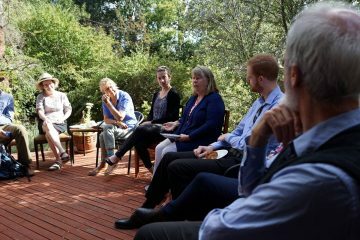 International guest Professor Christof Mauch joined workshop teachers Professor Tom Griffiths, Professor Heather Goodall, and Professor Libby Robin. Students are taught in the tradition established on the ANU campus by the distinguished historian, Professor Greg Dening (1931-2008), with whom we were fortunate to teach in his ‘Challenges to Perform’ workshops from 1998 to 2006. Students are encouraged to reflect on their responsibility to communicate what is important to them, think deeply about the craft of history writing, as well as explore different modes of communication, or ‘performance’, for different audiences. The workshop is sponsored by the Centre for Environmental History (School of History, RSSS, ANU), the Fenner School of Environment and Society (ANU), the National Museum of Australia, and the Rachel Carson Center for Environment and Society (LMU, Munich).